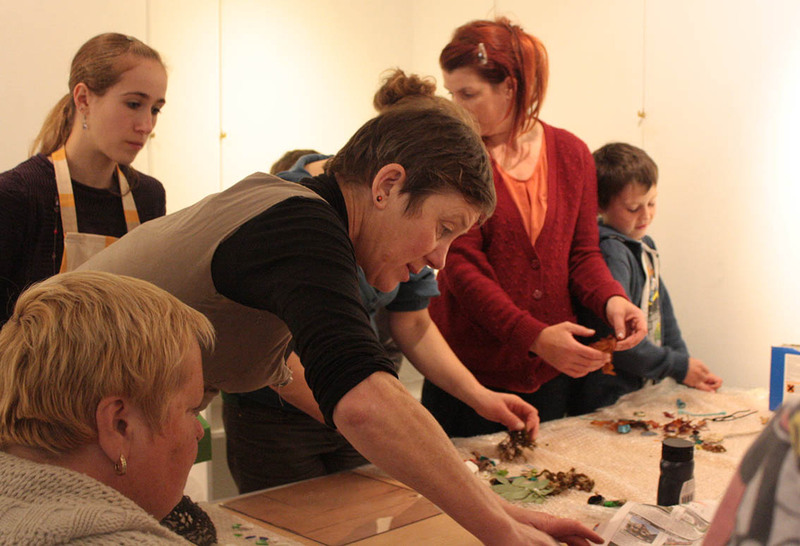 The print workshop today (Saturday) was a great success with 16 people adults and children bringing along handfuls of beach litter (man made) and contrasting natural materials with which to make prints from. 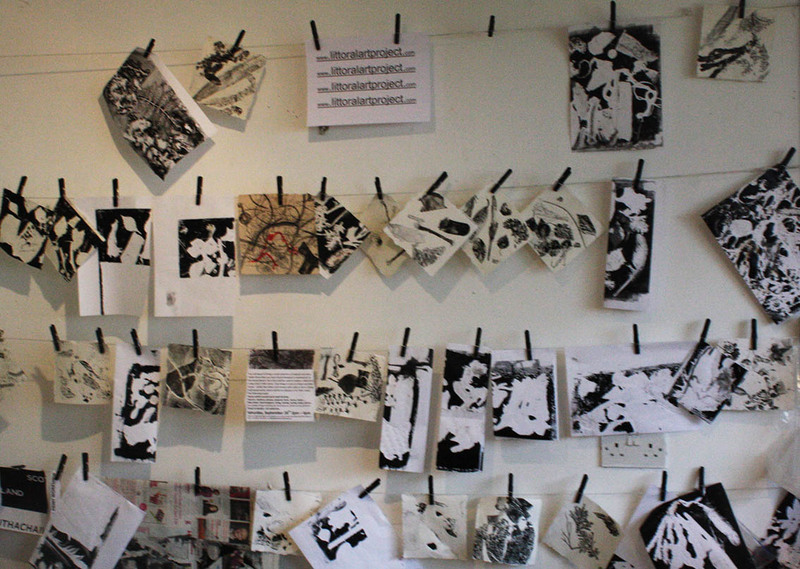 Within a few hours we had produced a wall full of fascinating prints from both sources of materials, half of which will be displayed together at the art centre for the duration of the open show. 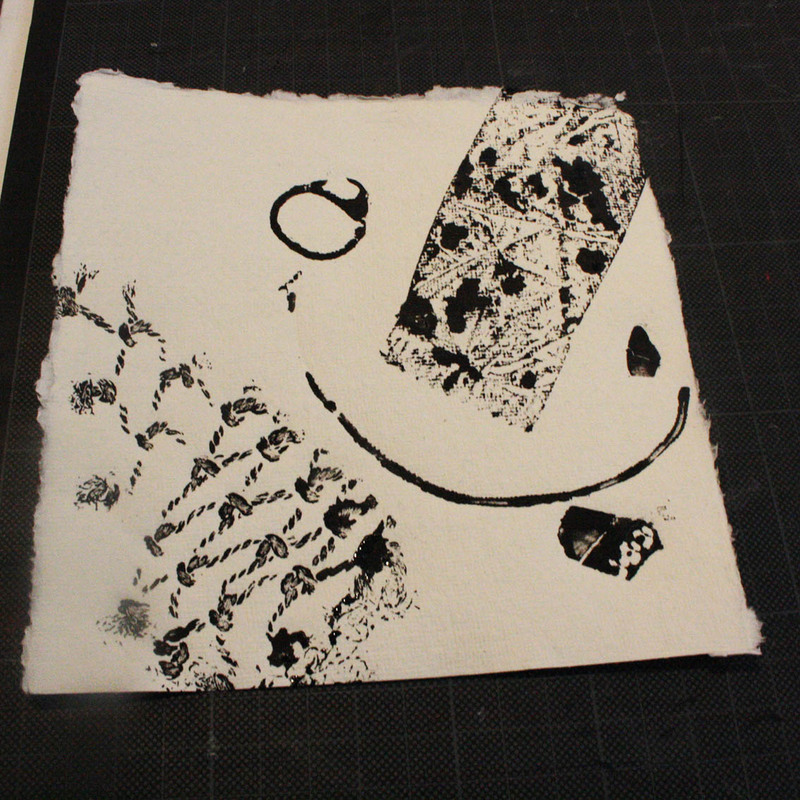 The relief prints of the man made materials echoed the microscope photos taken with the high school children. Both very strong imagery with which to work with and from. The progress of the project begins to leave its own footprint within the community, transforming rubbish in to thought, action and understanding bringing forth transformation in shape and form which offers beauty and hope midst the discarded detritus of other human hands less thoughtful or aware of the lives changed or destroyed by the particles worn down by sea and sand that float unnoticed in to the landscape of shoreline. Looking forward to seeing further progression of this project and the work produced by you and the community. 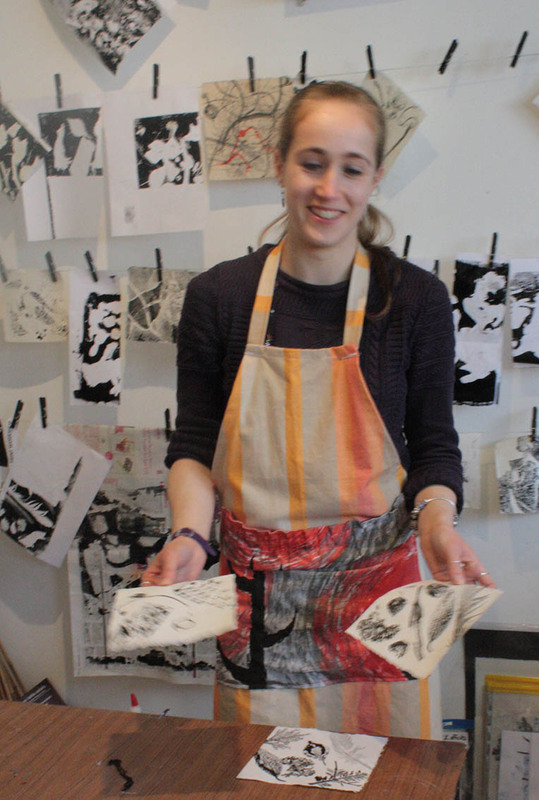 Not only was this printing workshop great fun and inspiring as an artist. It also re-enforced the feeling that something needs to be done about the litter on beaches! 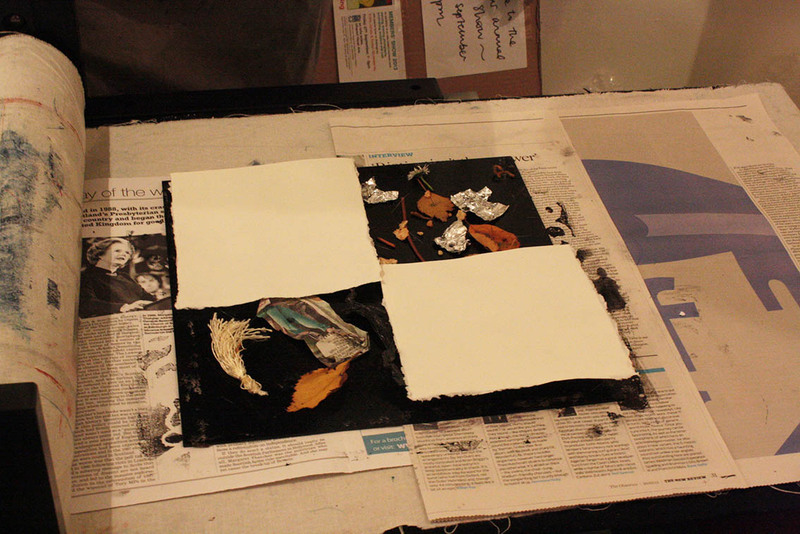 When finding some interesting pieces to use at the printing workshop I even found a shelf! And we had some great pieces of art at the end! Glad you enjoyed the workshop Eireann and found it thought provoking. I hope the work we produced can be shown in the Museum next year.